This is the video of “Mannequin Skywalker” taking the ride! A few days ago Blue Origin conducted the first test flight of their newest New Shepard capsule, a future space tourist sub-orbital capsule powered by a reusable rocket. 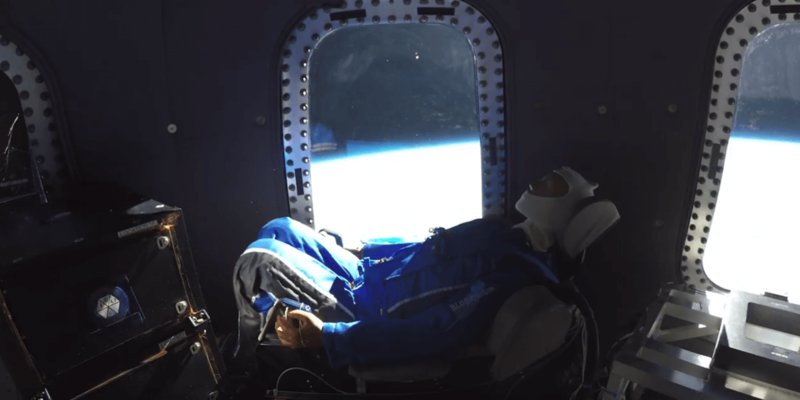 The new version of the capsule includes real windows, and a couple of cameras inside the capsule filmed a test dummy taking a ride to the edge of space (the capsule’s apogee ended up just a few hundred meters below the internationally accepted line of space at 100 km, the Karman line).